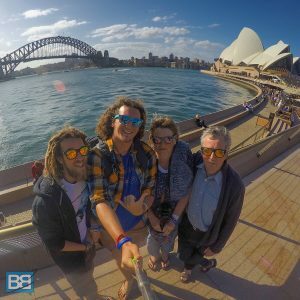 If you’re busy planning your Australia trip at the moment you’ve probably quickly found out that Australia is BIG and fitting everything into an Australia 3 week itinerary can be a bit of a task – in fact how long to spend travelling in Australia and the best places to visit is one of the most common questions I get asked! 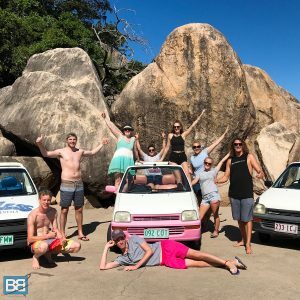 If you’re looking for the perfect Australia 3 week itinerary between Sydney and Cairns I’ve put together my favourites stops and tours on the East Coast, including the bus travel times between them so you can spend less time planning and more time enjoying Australia! So what stops have I skipped out to make the most of your Australia 3 Week Itinerary? Hit Up All The Sydney Icons! Depending on which way around you’re travelling Sydney will either be the start or the finish of your Australia 3 week itinerary, but for the sake of this post I’m assuming you’ll be travelling north! It’s one of the most iconic cities in Australia and no trip to Oz is complete without checking out the famous Opera House and Harbour Bridge. If you’re looking to do a quick day trip whilst you’re here head out to the Blue Mountains for some incredible views or for those on more of a budget for the Coogee > Bondi coastal walk…just packed plenty of sunscreen! If you’ve opted to travel Australia on a Greyhound Bus Pass or Premier Bus Pass this overnight journey is a great way to spend more time on the ground enjoying Sydney and Byron and less time stuck on a bus! Ok so I am a little bias towards Byron Bay as I’ve lived there on an off for the last 5 years! 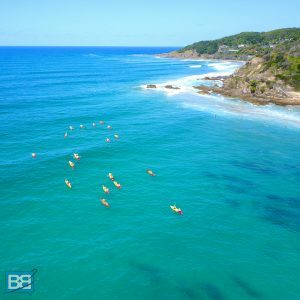 But there’s also a reason that Byron Bay is such a popular spot on the East Coast – it’s epic! Whether you fancy tackling the coastal lighthouse walk (a great freebie to do and in the right season you can watch the whale migration from here), kayaking with dolphins, learning to surf or simply want to kick back and enjoy the beach this little hippie town will no doubt be one of your highlights of Australia! Noosa is packed full of natural beauty – from the stunning beaches to the gorgeous National Park. Make sure you take the time to have a wander around the coastal paths on the search for wild koalas and also head out into the Noosa Everglades on a canoe adventure too! Rainbow Beach is arguably the most popular starting point for any Fraser Island tour so you’ll need at least one night pre and post 4×4 tour. Just make sure you arrive in time for your pre Fraser Island safety briefing else you risk no being allowed to go! Fraser Island Is A Definite Highlight! My personal favourite trip on the East Coast of Australia – Fraser Island is packed full of fun. 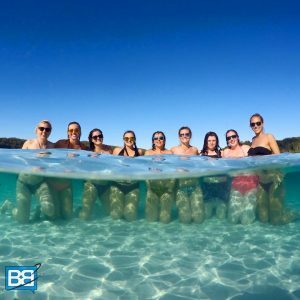 On this Australia 3 week itinerary I’ve opted for a 3 day/2 night Fraser Island tag along tour which is always what I’d recommend to make the most of Fraser Island, but you can check out some of the best Fraser Island tours here. Explore spots like Lake Mackenzie, Indian Head Lookout, Eli Creek, the Champagne Rock Pools and the Maheno shipwreck before sleeping under some of the most incredible starscapes you’ll ever see! Again if you’re travelling with Greyhound or Premier this will need to be in the mix – although it is a solid 18 hour stint! As well as being the gateway to the Whitsunday Islands, Airlie Beach is also a really fun party town! Shake of your hangover with a day lazing at the lagoon pool in the centre of town or maybe even skydive with epic views of the islands! Tongarra Is Heaps Of Fun! The other big bucket list trip on the East Coast! Sailing around the Whitsundays Islands is an epic adventure and will no doubt be one of your highlights! 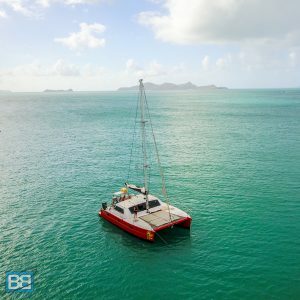 A 2 night sailing adventure fits perfectly into this Australia 3 week itinerary – with Tongarra, Wings and Powerplay being my personal picks for the best Whitsundays Sailing Adventures. An often overlook but incredible stop, Magnetic Island is the ideal island retreat before or after the chaos of Cairns! Make sure you hire a Barbie car to explore the island a bit more and take in the epic panoramic views from the look out point – an awesome place to spot more wild koalas too! Super easy to add into your itinerary too with a Magnetic Island Package deal, which include accommodation, return ferry transfers form Townsville, welcome drink and snorkel hire! Or the Bungalow Bay YHA option also includes a koala cuddle! Oh Cairns – you’re full of chaos! As the start or finish of most peoples Australia adventure this spot is always good for a party at spots like Woolshed or Gilligans! 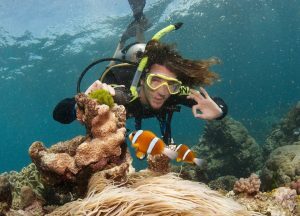 It’s most famous for being the gateway to the Great Barrier Reef though and there are plenty of Barrier Reef tours to choose from – including both snorkelling and scuba diving. If you’re looking for some other epic experiences in and around Cairns bungy jumping, skydiving, white water rafting, Cairns waterfall tours and even Cape Tribulation are some other things to slot into your travel plans! The perfect spot to begin or end your Australia 3 week itinerary! Well places like Yamba, Surfers Paradise, Brisbane, Agnes Water/1770 and Mission Beach have all been cut out. Personally out of that lot Yamba would be the one I’d be most inclined to get back into the mix (it’s the hidden gem of East Coast Oz in my opinion!) and Mission Beach if you’re looking at skydiving or white water rafting. Also if you do want and extra day in there you can fly from Sydney to Byron Bay (either into Ballina or the Gold Coast) which will be around $100AUD + the airport transfer (max $45) and it does take $100 off your Greyhound or Premier Bus Pass as you can then grab a Brisbane > Cairns Pass (with free Byron sector), so it’s certainly something you should consider! Alternatively the newly launched Greyhound WHIMit Pass covers 21 days of unlimited travel across the Greyhound network for just $399AUD! Want to do this exact trip? Got more time to travel around Australia? Check out my Australia 4 week itinerary and spend a bit more time enjoying the East Coast as well as including even more destinations! Need more help planning your Australia adventure? Check out my East Coast Trip Planner and save heaps with some exclusive discounts on trips and tours! What is the best transport for traveling in Australia? And it is safe to use public transport Australia? thank you so much for such rich information! It looks absolutely amazing in Australia. Never been there but hopefully one day. Hello, many people got confused on their first vacation and talking about Australia, it is a big country that every person got confused where to go. Thanks for sharing your blog, now it will really helpful for people to spend traveling without any kind of confusion and problem. Keep posting! Very nice Itinerary. I would also like some place to hike, as I’m a hiking freak. I love hiking and not to mention the views which can be seen are just unreal. And in my next trip I will definitely add Cairns on my list and will surely go for the scuba diving. I saw your picture and could imagine myself there. Thanks for the post.